Click to Donate to Your Favorite Charity! I love, love, love companies that let you donate to a worthy cause just by clicking your mouse. With most of us a little more cash-strapped than usual, it means even more to me this year. Upromise has joined the trend of letting consumers "click to donate" by offering their Facebook fans the chance to donate $1 to one of three charities just by visiting their Fan page! Just visit their page, and choose from Reading is Fundamental, Junior Achievement, or Boys & Girls Club of America. It takes about 2 seconds, and all the causes are great to support! Your vote will be tallied, and Upromise will be announcing the selected charity and donation amount on December 23, 2011. Don't forget to share with your friends, every new LIKE is a dollar donated! 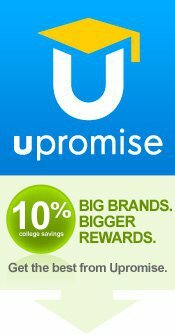 *As a Upromise College Savings Ambassador, I am compensated to tell you about the program. However, all posts and experiences shared are my own.